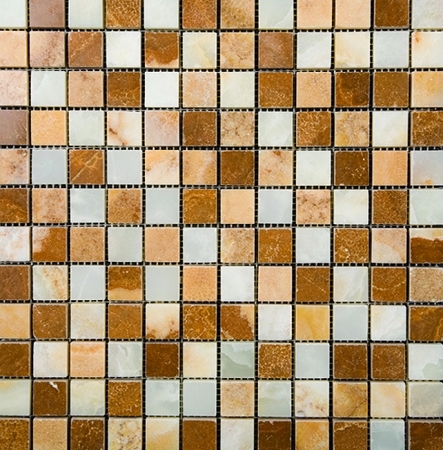 Onyx Polished 1x1 is a Onyx mosaic piece that offers a modern artistic appearance to your home. It has a great color scheme since it mixes the beauty of brown, blue, and ivory together. It has a shiny and smooth texture. Onyx Polished 1x1 is an affordable tile piece that covers the essence of practicality and affordability. It is scratch and water resistant. It is very easy to install. It is also very easy to clean and maintain since it does not need expensive tile cleaners to retain its high quality look. Onyx Polished 1x1 provides great artistry to any kind of interior or exterior surface. It is great for walls and floors of bathroom, kitchen, and patios.